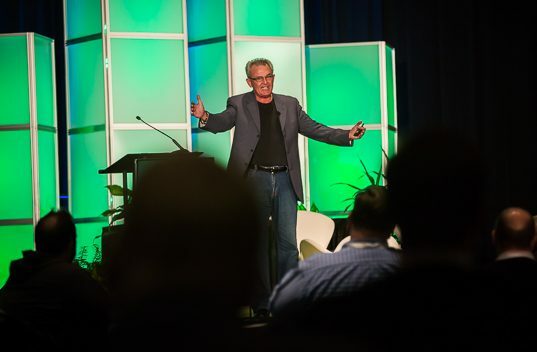 The dedicated high-volume, luxury and multifamily general sessions will focus on the top tech trends in the industry. 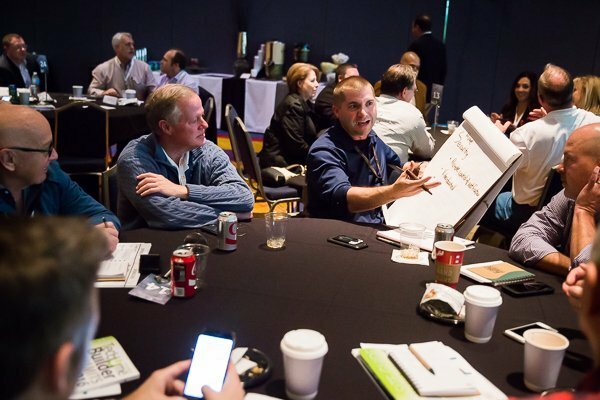 Among the highlights of the TecHome Builder Summit every year is the educational content. 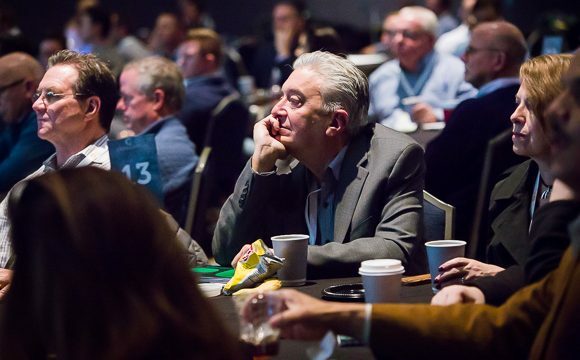 When VIP guests take part in this year’s event, they will learn from industry experts about what they need to know to stay ahead of the technological curve. High-volume, luxury and multifamily guests will participate in specialized content tracks tailored specifically for them. Each will have its own roundtable session on Monday afternoon and will conclude on Wednesday with a Making It Count Networking Luncheon, allowing guests to discuss their takeaways from the event and how they will implement them when they return to their businesses. For those 2.5 days, attendees in each segment will learn about best practices and business strategies to help them succeed with tech. Guests take part in a roundtable session at the 2016 TecHome Builder Summit. The Monday roundtable session will focus on The Tech Standard/Upgrade Challenge. Guests will learn which tech features they should standardize and which should be sold as options and upgrades. They then will brainstorm and develop their own standard and upgrade packages for multiple market segments. On Tuesday, builders will learn how to use tech to win more new home sales and generate meaningful revenues and profits in the Home Tech Sales & Marketing Lessons Learned breakfast session. In Top Tech Communities Case Studies, a design center owner, marketing expert and builders will take an in-depth look at how they work together to create a tech-forward community. In the Wednesday breakfast session, Integrating Home Control and Monitored/Managed Maintenance for New Value and Opportunity, builders will learn how they can more efficiently communicate with their consumers using home control through the Internet of Things. Home sales and marketing expert Mike Moore will be presenting the “Room-by-Room Luxury Tech” roundtable. Tuesday will begin with a breakfast session titled, Over the Top Technology – Tech Lifestyles of the Rich & Famous. Industry leaders will highlight some of the coolest tech plays luxury buyers are making. In the Ultimate LUX Client Tech Journey luncheon session, a designer, integrator and builder explain how to best deliver a high-touch customer journey to luxury homebuyers when it comes to tech. In the Wednesday breakfast session, The List: Top Tech Plays in 2018 for Increased Revenue and Profit, builders will get a look at the emerging technologies in a variety of categories they should be looking at next year. High-volume, luxury and multifamily guests will participate in specialized content tracks tailored specifically for them. Monday’s multifamily roundtable, Identifying Millennial, iGen and Baby Boomer Multifamily Tech Must-Haves, will feature research from Parks Associates on the tech needs and wants of various demographics. Guests will be tasked with developing tech strategies for each of those generational segments. Tuesday will begin with a breakfast session on Technology and Recurring Revenue for Multifamily. This panel of experts will look at different ways tech can be leveraged to become an additional source of revenue for communities. 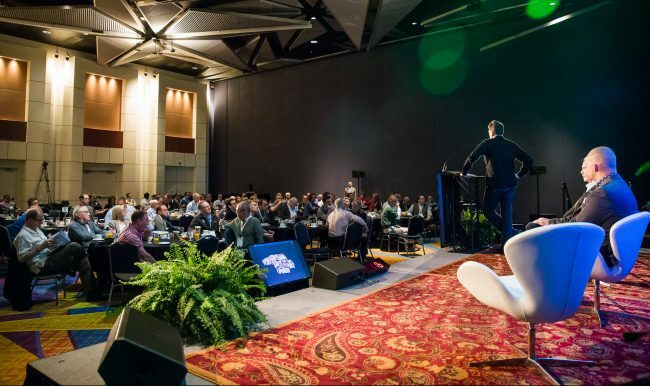 In the Multifamily Home Tech Case Studies luncheon session, guests will be presented with success stories of how tech is featured in individual units and public spaces and how homeowners and renters benefit. For a complete schedule and session descriptions, click here.